The Federation of Genealogical Societies (FGS) is proud to announce its new webinar series by offering a FREE webinar to the public! Entitled Social Networking for Genealogical Societies and presented by FGS board member and nationally-recognized genealogy educator Thomas MacEntee. While thousands of genealogists and family historians have discovered new ways to expand and improve their genealogy endeavors using social networking, there is a dire need for genealogy societies to understand and begin using these same communication tools. This webinar will give genealogy society leaders and members an overview with real examples of how genealogy societies are successfully leveraging social media websites and applications to attract new members and expand their member services. If you think Facebook, Twitter and other social media sites are “just for kids” then think again. Most businesses and non-profits are learning how to attract new customers and members merely by having a “presence” on many of these sites. In this webinar you’ll learn about the latest websites and tools available for free and how some genealogy societies are already using them. These same societies are not only attracting new members but they are also effectively marketing their events and services to the genealogy community and beyond. This webinar will be presented by FGS board member and nationally-recognized genealogy educator Thomas MacEntee. MacEntee is a professional genealogist specializing in the use of technology and social media to improve genealogical research and as a means of interacting with others in the family history community. Visit https://www3.gotomeeting.com/register/401693254 to register. Hurry since space is limited! Michael Hait is currently serving as Vice-President of the National Capital Area chapter of the Association of Professional Genealogists in Washington, D. C. He is the instructor of the "African-American Ancestors" course for the National Institute of Genealogical Studies, a regular contributor to genealogical magazines and journals, and the author of several books. by Kathleen Bitter, our resident expert on StoryBook. The webinar will be this Thursday, April 28 from 7:00 – 8:00 PM MST. Come join us for a free storybook webinar Thursday April, 28th at 7:00 pm. You will learn how to create a storybook page using your Easter photos. This is going to be a lot of fun. You won't want to miss it! You will also see some samples of family history storybook pages we’ve created to share with relatives and children to help them learn more about their family heritage. Click on the ‘Reserve’ button to sign up. Anyone with the need to easily share information with others, transfer information from one computer to another, or have access to your own data from another computer needs to watch this recording of Thomas MacEntee's Dropbox for Genealogists webinar. As one of our viewers commented, "Excellent! Just bumped me into a new century," Thomas did a fantastic job of teaching us about this new technology that benefits not only genealogists, but all computer users. If you could not make it to the live event, the 1 hour 32 minute recording of Dropbox for Genealogists is now available in our webinar archives. Visit www.LegacyFamilyTree.com/webinars.asp to watch. The free recording will be available until May 2, 2011. Own your own copy of Dropbox for Genealogists by purchasing the webinar-on-CD for just $9.95. It includes the recording of the class (1 hour 32 minutes), the complete Q/A session, and 18 pages of handouts (that is not a mis-print...there's really 18 pages). Click here for more information or to purchase. The special discount coupon of dropbox that was announced during the webinar is valid for 10% off anything in our online store through Monday, April 25, 2011. All your webinars are good but this was the best. Fantastic information...I opened my account awhile back...but was fearful of using it...now...Here I Come Dropbox...ready or not! I enjoyed the various uses of Dropbox, especially the suggestion in Q & A about sharing web pages. I never knew such a thing existed. Thanks again for education me on this application. I'll definitely try it. The webinar was very easy to follow. Mr. Macentee's style was easy to understand. I appreciate this format very much. A dose of this really invigorates my genealogy. Thanks to you both! Thomas MacEntee obviously puts a lot of time into preparing his presentations. It is noticed and very much appreciated! Excellent speaking style and easy explanations make it very fun to learn from him! Google Forms for Genealogists with Thomas MacEntee - Wednesday, June 1, 2011. Live demo explaining why Myrt thinks beginning researchers with US roots benefit from uploading their GEDCOM file to Ancestry Trees. Includes an overview of GEDCOM file creation using RootsMagic and a discussion about privacy levels offered by Ancestry.com. Emphasis on attaching scanned images of original documents to each ancestor, but includes information about networking with other researchers. This is a great deal more effective than message boards. This webinar is free, but attendance is limited to the first 100 people who log in on the 27th for the event. Webinar hosted by the Genealogical Society of Pennsylvania and moderated by GSP board member and genealogical researcher Shamele Jordon. To be successful, family history researchers need to grasp the fundamentals. During this webinar we will ask professional researchers to provide strategies, tips, and tricks that they used to locate ancestral information. All levels of researchers will benefit from this webinar. We will discuss: planning research trips, developing research strategies, organization, software, internet research and more. Presenters: Shamele Jordon and additional special guests. Questions: sjordon3@gmail.com. Shamele Jordon is a genealogical researcher, lecturer, and podcaster (Genealogy On Demand). Her biographical highlights include: researcher for the PBS series Oprah's Roots: An African American Lives Special and African American Lives II; former president of the African American Genealogy Group in Philadelphia, PA, faculty at the Institute of Genealogy and Historical Research in Birmingham, AL, workshop volunteer at the Family History Center in Cherry Hill, NJ, board member of the Genealogical Society of Pennsylvania.. Locating and documenting Pennsylvania ancestry is the mission of GSP. During this webinar we will learn about documents, repositories and methodologies. Kay Haviland Freilich, CG, CGL, will discuss how to research Pennsylvania ancestors in court records. This will include understanding history, boundary changes, research repositories and more. Nancy C. Nelson will demystify the application procedure for the GSP lineage society, First Families of Pennsylvania. Kay Haviland Freilich, Certified Genealogistsm, Certified Genealogical Lecturersm, authored the National Genealogical Society publication Research in Pennsylvania and won the 2008 NGS Family History Writing Contest. She is a current trustee and former president of the Board for Certification of Genealogists and an instructor at the Institute of Genealogy and Historical Research at Samford University, Birmingham, Alabama. For the Genealogical Society of Pennsylvania, she has served as vice president, member of the publications and program committees and counselor for the Summer Camp program. Her main research interests are Pennsylvania and the Quakers. Nancy C. Nelson, Membership Chair and Board of Directors of The Genealogical Society of Pennsylvania, Membership Chair of Central Jersey Genealogical Club, Secretary of The General Forman Chapter, DAR, and Second Vice President of The Philadelphia Chapter, United Daughters of The Confederacy. She is also a member of The National Genealogical Society, The Genealogical Speakers Guild, Ladies of the Grand Army of the Republic, The Bordentown Historical Society, The First Families of Tennessee, The Union County Tennessee Historical Society. With more than 15 years experience in genealogical research, her focus has been Burlington and Monmouth Counties, NJ. 7 - 8:30 pm EDT. Webinar. Registration required. Cost: $15. This webinar celebrates Preservation Month by featuring tips for preserving photographs, documents and your family research; join this event from the comfort of your own home. There will be time to ask questions after the presentations. Maureen Taylor, the Photo Detective, will provide details on caring for photographs in various formats. She is an internationally recognized expert on the intersection of history, genealogy, and photography. Maureen has been featured in top media outlets, including The View, Better Homes & Gardens, the Boston Globe, Martha Stewart Living, MSNBC, PBS Ancestors, Creative Memories' Lasting Moments, and Dear Myrtle. Maureen is the author of a number of books and magazine articles, as well as a contributing editor at Family Tree Magazine. She helps people solve a range of photo-related mysteries, from dating a Civil War-era daguerreotype to organizing gigabytes of family photos from a digital camera. Maureen investigates photographs the way private eyes investigate cases. She discovers stories behind family pictures by following clues . a hat, the shape of a woman's sleeve, or a sign in the background. Through her website, PhotoDetective.com, Maureen offers practical, affordable advice on how to save and organize photos. Margaret Jerrido, archivist, was Head of the Urban Archives in the University Libraries at Temple University for many years. She has conducted workshops on how to preserve all formats of historical materials, leads discussion groups on forming archives, and arranged and participated in panels on how to conduct oral histories. During recent years she devised and presented a workshop entitled "Archives 101" that provides basic archival information to genealogy and church groups. She has consulted for and with the keepers of historical materials of a number of organizations and churches such as Mother Bethel AME Church. She is a member of the Delaware Valley Archivists Group and the Mid-Atlantic Archives Conference. Margaret was the first Chair of the former group, and has been involved in the latter holding various offices and presented a number of papers on various aspects of collecting, preserving and maintaining historical records. She received her BA in history from Temple University and a MLS from Drexel University. Register by going to http://www.eventbrite.com/event/1463755131. Synopsis: What are the latest tools from Google and how can I use them in my research? Come learn about products like Picasa, Alerts, Sites, Books, Video, Maps and much more that can help you save time and money as you utilize the internet to help you get the job done. Bio: Devin Ashby is a Project Coordinator for FamilySearch, the largest genealogical organization in the world. Devin has been involved in family history for years. In 2004 he received Bachelor degrees in History and Spanish, and the following year earned a Masters Degree in Educational Leadership from Northern Arizona University. Thank you to Suzanne Curley our board member over the Virtual Chapter for all of her hard work in organizing the chapter and watching over these beginning stages. We are looking forward to having you all be a part of this wonderful program. Michael Hait is currently serving as Vice-President of the National Capital Area chapter of the Association of Professional Genealogists. He is the instructor of the "African-American Ancestors" course for the National Institute of Genealogical Studies, a regular contributor to genealogical magazines and journals, and the author of several books. 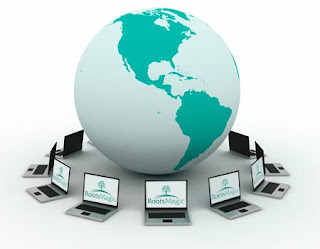 The emergence of the Internet has led to many online resources for genealogical research. Many researchers are unaware of the sheer volume and variety of records that have been brought online, at no cost, by government agencies and others active in individual towns, counties, and states. This presentation will focus on what kinds of records are available, some of the places to look, and how to find online resources in your area of research. Several websites will be used as examples to demonstrate how to find resources in different places. Thomas MacEntee came through again for us today in his fantastic webinar, Building a Research Toolbox. One of our viewers commented, "I wish I had this info when I started my research. A MUST FOR ALL, NOT JUST GENEALOGISTS!" Another commented, "Many new and VERY useable sites given, esp. Evernote, Weebly, and the Link Valet!" Right on viewers! If you could not make it to the live event earlier today, the 1 hour 28 minute recording of Building a Research Toolbox is now available in our webinar archives. Visit www.LegacyFamilyTree.com/webinars.asp to watch. The free recording will be available until April 18, 2011. Own your own copy of Building a Research Toolbox by purchasing the webinar-on-CD for just $9.95. It includes the recording of the class (1 hour 28 minutes), the complete Q/A session, and five pages of handouts. Click here for more information or to purchase. The special discount coupon of toolbox that was announced during the webinar is valid for 10% off anything in our online store through Monday, April 11, 2011. An incredible amount covered in such a short time. Excellent content. Thomas is such a good speaker. Tons of great information and examples of websites to use to help organize research! Great Job! Excellent overview. As a "power user" I knew about some of the tools, but not all, and I learned new things about familiar websites. Excellent. Learned so much more than today's topic alone. I really enjoy the extra tidbits Thomas MacEntee presents and that he is so generous in sharing his resources! Pleasure to participate in his webinars!! Fantastic...but my head is spinning. I thought I was organized, but this webinar has prooved me WRONG! Now to get to work on redoing my thought process and get Organized. Thank you so very much for this opportunity. Great info. I wish you had done this one long ago. Great information, as always! Every webinar seems to have a few 'jewels' that absolutely make it worth taking the time to watch the webinar. I'd add that it is also worth watching 'again and again' via the DVDs. Great!! I got lots of terrific info out of this webinar! Loved the tip on passwords as well as discussion on various storage containers. Thank you! I always hope to learn something, but today my expectations were exceeded. i learned a lot - even with regard to things I'm already using. Great presenter, great info. I loved the password trick! Thanks! It sure beats windows favorites for organizing links. Once I build my genealogy research toolbox, I am going to build one for each of my other hobbies. Many new and VERY useable sites given, esp. Evernote, Weebly, and the Link Valet! I wish I had this info when I started my research. 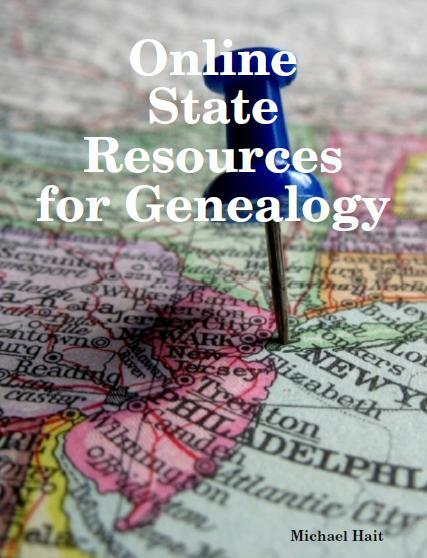 A MUST FOR ALL, NOT JUST GENEALOGIST! Thrilled with the excellent presentation by Thomas MacEntee. I learned lots and will certainly be purchasing the CD for future reference. Questions asked by the audience were also helpful. Thomas was very professional but always very friendly and honest with his responses. He and Geoff Rasmussen worked well together. Very interesting. I now have a much better idea of how to set up my favourites, bookmarks, etc. and will be checking out several of the options presented. Thank you very much for the webinar. And the free RootsMagic classes don’t stop. Here are 4 new classes scheduled for the next month. Each class will be limited to the first 1000 people to sign up, but if you miss out or can’t make it, don’t worry because we will record the class for you to download and watch later. Wherever you go, there you are! Places and geography are an integral part of our lives and the lives of our ancestors. Join us for a look at the many tools in RootsMagic which help you accurately record the places in your family history, clean and standardize names, and even view them on a map! This is your chance to ask your questions and get the answers straight from the source! Bruce Buzbee, the author of RootsMagic will be answering your questions about the software in this special, open-topic webinar. Frustrated by thousands of irrelevant search results in your recent Google searches for your family history? Do you want to achieve better results in a shorter amount of time? Learn the art of online search with Google expert and genealogy podcaster Lisa Louise Cooke, author of the new book The Genealogist’s Google Toolbox. In this webinar you will expand your Google search repertoire and learn techniques, tricks and tips to achieve better genealogical search results. Ever wish your family tree wasn’t confined to a computer screen or a small sheet of paper? Wallcharts let you see the “big picture” of your family history! Join us for a look at RootsMagic’s wallcharts and how to customize them. Also joining us will be Janet Hovorka of Generation Maps to show us how to easily and affordably print our charts and some special services which they provide. Registration Cost: $7.99 The emergence of the Internet has led to many online resources for genealogical research. Many researchers are unaware of the sheer volume and variety of records that have been brought online, at no cost, by government agencies and others active in individual towns, counties, and states. This presentation will focus on what kinds of records are available, some of the places to look, and how to find online resources in your area of research. Several websites will be used as examples to demonstrate how to find resources in different places. Using Corel's PaintShop Pro, Myrt demonstrates now to add a bottom border and text to label ancestral photos and documents, and save the files with meta data describing the date, location and subject of the image. Starting with you, there will be no more unidentified photos on your family tree. This workshop is free, but seats are limited to the first 100 attendees who log in the day of the event.